The Eiffel Tower is undoubtedly the most famous building in France and Paris. The three hundred-metre-high tower was built for the World Exhibition in Paris in 1889. Because this exhibition took place exactly 100 years after the outbreak of the French Revolution (1789), it was also built to commemorate this revolution. The construction of the tower lasted from 1887 to 1889. In total, 250 steelworkers participated in the construction work. The Eiffel Tower was inaugurated on 31 March 1889 and officially opened on 6 May. This was done by the Prince of Wales, King Edward VII of England. The Eiffel Tower is one of the most famous landmarks of the city of Paris. The tower is visited by many tourists and is considered a technical masterpiece of 19th century architecture. The Eiffel Tower was designed by the architect Gustave Eiffel (1832-1923). Paris Eiffel Tower , the 317-metre-high Eiffel Tower was built for the world exhibition of 1889. The occasion for the exhibition in Paris was the commemoration of the storming of the Bastille in 1789, the beginning of the French Revolution. 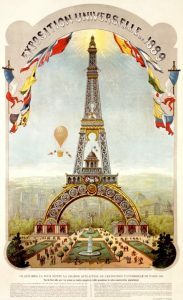 On the occasion of the festivities around the centenary of the French Revolution in 1889, a world exhibition was organised in Paris. Architects could put forward ideas for a suitable monument, which would be erected in the vicinity of the exhibition area. Gustave Eiffel’s plan won the battle. 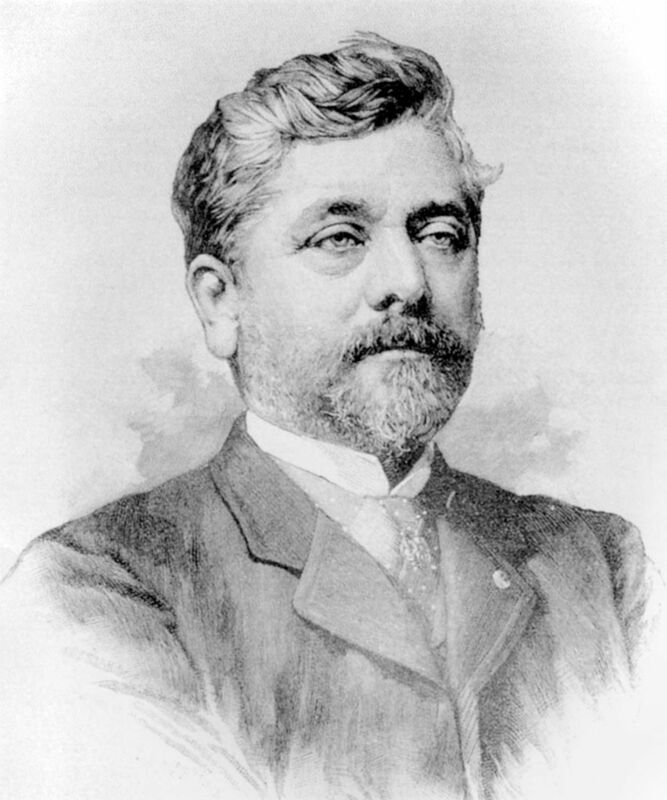 The French architect Gustave Eiffel founded his own company in 1866. He was one of the first engineers to use iron as a supporting structure for bridges and buildings. Relatively few people know that Gustave Eiffel was also involved in the construction of the Statue of Liberty in New York. This statue was designed by Bartholdi and was donated by the French state to the United States in memory of the cooperation between America and France during the American revolution. Eiffel designed the iron skeleton for the Statue of Liberty. Around 1890 Gustave Eiffel partially stopped working. 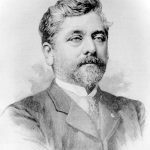 His company was to be run by others in the future, so that Gustave Eiffel could become involved in research. In Auteuil, Eiffel built the first aerodynamic laboratory, which he gave to the French state in 1921. 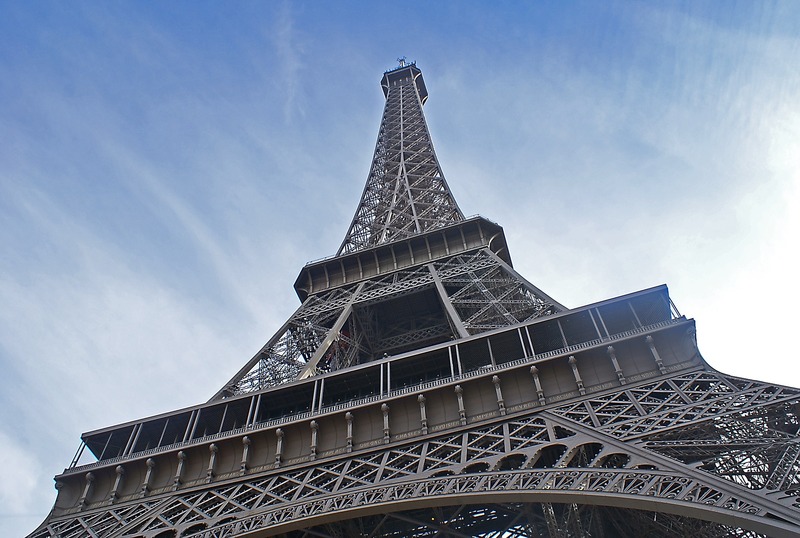 When the Eiffel Tower was built, its height of 317 metres made it the tallest building in the world. Only in 1930 was this height exceeded by the Chrysler building in New York. The monument consists of three floors. You can choose to go by stairs or by elevator. You have to be in good condition, because the stairs to the first floor already has 360 steps. On the first floor you have a beautiful view and dining area, on the second floor (115 meters high) the view is even more beautiful and here is also a restaurant and on the third floor (275 meters above the ground) you can enjoy a beautiful view. In clear weather conditions you can look up to seventy kilometres from this floor. 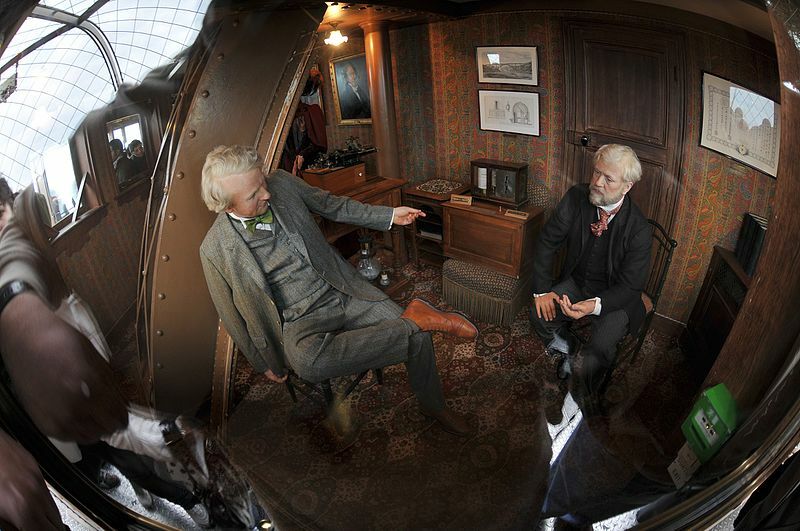 From the floors of the Eiffel Tower you have 360 degrees views over the city on each floor. On the second floor is the gastronomic restaurant Jules Verne. Restaurant Jules Verne was once awarded a Michelin star The restaurant has its own elevator from the south leg of the Eiffel Tower. You can book Jules Verne restaurant online but a place at the window is not guaranteed. Because of the special decoration of the restaurant, you are actually comfortable everywhere. On the first floor is 58 Tour Eiffel. This restaurant is a kind of luxury brasserie at an altitude of 125 meters. 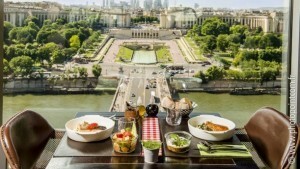 From this restaurant you have a beautiful view over Paris. A dinner in the evening here is about € 85, – including tickets for the Eiffel Tower. Lunch costs approximately € 45. This restaurant is one of the best restaurants in Paris. Stylish tourists will certainly stick to this. 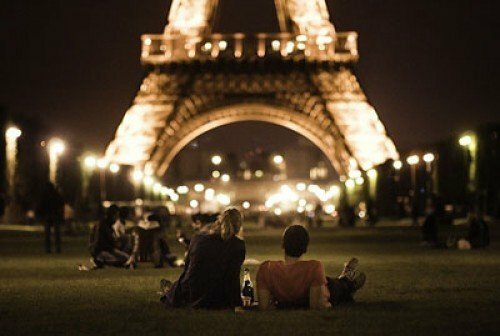 It may cost a little bit, but then you also have an excellent dinner, lots of candlelight and a view over the City of Light. How romantic is that? First outside enjoy the view, and then relax for a good French meal with the sparkling lights of Paris around you through the panoramic views. Although it was originally intended to demolish the tower at the end of the exhibition, the tower is still at the same place in the centre of the city. 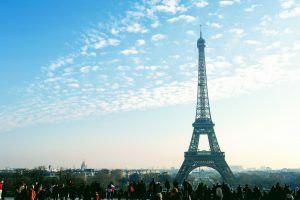 Today the Eiffel Tower is used as a television tower and tourist attraction. Stairs and elevators enable the thousands of visitors to see the beautiful Paris from the tower every day. Thanks to the festive lighting, after sunset, the tower also provides a beautiful spectacle from the ground. The Eiffel Tower is open from 9.30 am to 11.00 pm and in summer from 9 am to midnight. You can buy your tickets here for the Eiffel Tower. Then you already have them and you don’t have to stand in line anymore. 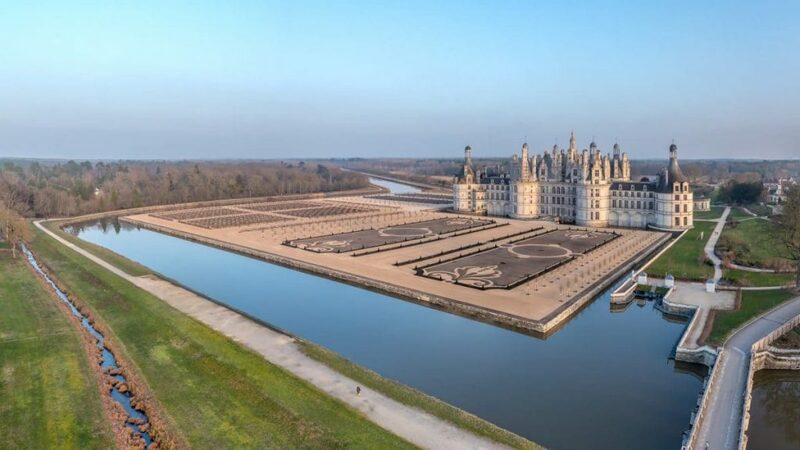 The Loire Valley, known as “Le Jardin de la France (the garden of France)”, was being the favorite residence for the French kings during the Renaissance, and these buildings are mostly built or substantially reworked during the Renaissance in France. 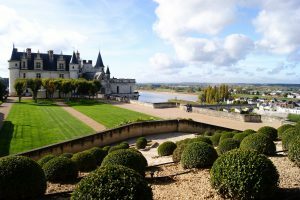 ParisbyM will present you some of the most beautiful Loire Valley castles, in order to help you in case you want to visit castles in the Loire Valley. As you can see from the map, there are numerous castles disperse in the region. The main reason might correspond to the hundred years’ war which made the French kings and the English kings oppose against each other. 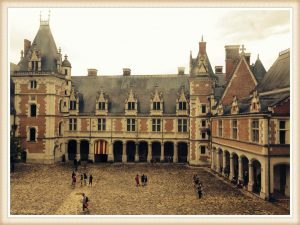 During this very long war, the kings of different nationalities possessed each a bank of the Loire and made the construction of several palaces and military fortresses which later became, particularly during the Renaissance, the majestic Loire Valley castles. In addition, the winegrowing condition and the goat cheese production make this region more charming in terms of the castle culture. According to most people, the Chateau de Chambord is the castle the most worthiest of being visited. As the hunting reserve of the king François I, its immense park is the biggest closed forest park in Europe, with an area that is similar to the city of Paris. Its facade is also spectacular with its hundreds of amply curved chimneys and chapiters. In addition, you can also attend the horse and raptor shows in the Chateau de Chambord (the raptors may graze your shoulder!). 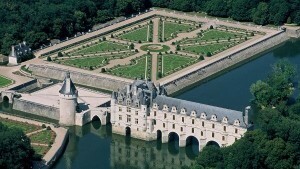 The chateau de Chenonceau also named “le château des dames” (the castle of the ladies), spanning the river “le Cher” just like an elegant lady. Its history is marked and embellished by women. Thomas Bohier built the castle in 1513, but it was his wife Katherine Briçonnet who supervised the construction and imposed her style on the castle. Afterwards, Diane de Poitiers and Catherine de Médicis also added their personal touch. As a result, you will have the chance to promenade in the marvelous French garden and in the forest, and to cross and walk along the banks of the beautiful le Cher. 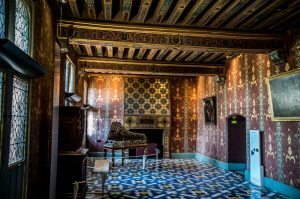 To visit the chateau royal de Blois, is to discover a panorama of the French architecture history. In the center of the inner courtyard, four architectures of four different periods (from the medieval style to the classic style) are available for you to visit. Evidenced by the royal apartments sumptuously furnished and adorned with magnificent decorations, it is also a place which is evocative of the kingship and the daily life of the Court during the Renaissance. 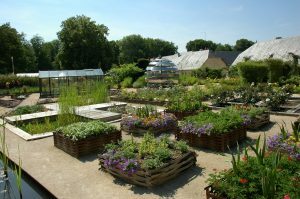 Domaine de Cheverny was a seigneurial property that had belonged to the same family for six centuries. 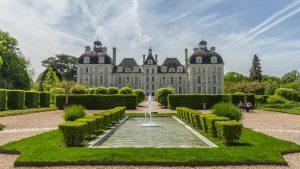 Unlike many castles in the Loire Valley, Cheverny has always been inhabited and each generation contributes to the maintenance of the castle with passion, to keep the beauty of the place. Therefore, Cheverny presents the most beautiful interior and the most beautiful furniture. 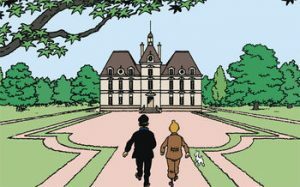 It is worth mentioning that, in the comic “The Adventure of Tintin”, Hergé used Cheverny as the model for Marlinspike Hall, you can also visit an exposition dedicated to the comic album. 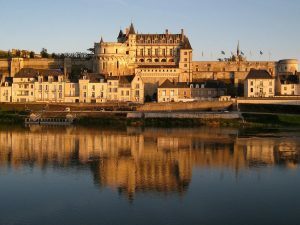 The primary reason to visit Chateau d’Amboise is that it offers you a unique view of the panorama of the Loire Valley. With its terraced gardens, you have many different vast and magnificent views of the valley. 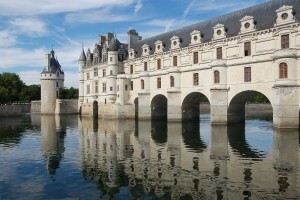 Another thing to know: Leonard da Vinci who lived in Amboise, is buried in the Chateau d’Amboise. You can also visit the Chateau Clos Lucé which is right next to it, where Leonard da Vinci lived for his last three years. 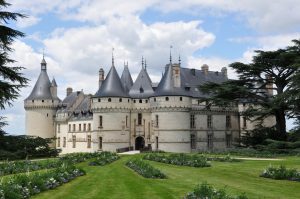 The castle of Chaumont-Sur-Loire, standing in the Loire Valley between Amboise and Blois, its construction was for the purpose of protecting Blois from the attacks of the Counts of Anjou. It may not be interesting to visit the castle itself, but its gardens do worth a visit. Each year, the castle hosts the International Garden Festival, from April to November. 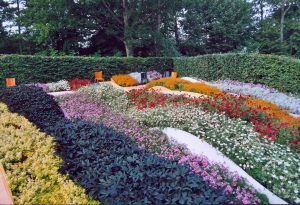 You will discover not only the style of “French garden”, but also different contemporary artistic landscape creation. Really amazing and surprising to discover! 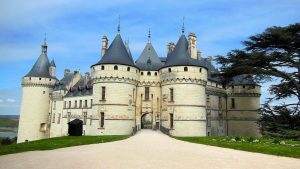 Not only these 6 castles above, ParisbyM have selected for you the 19 most beautiful Loire Valley castles, you can check them out by clicking the marks on the following map! Have a good trip in the Loire Valley!